Land Pride’s ZT3 is available in 60- and 72-inch widths and is widely recognized as one of the best commercial zero-turn mowers on the market. The ZT3 is powered by a 27 hp twin-cylinder, air-cooled Kawasaki engine providing power to a Hydro-Gear® ZT-5400 Powertrain®. The twin transaxles and three high-lift blades are driven with trusted Gates® belts. The ride is cushioned by large 24-by-12 rear tires and Land Pride’s Telecaster® front-fork suspension. For working across slight inclines, the floating front axle locks for added stability. 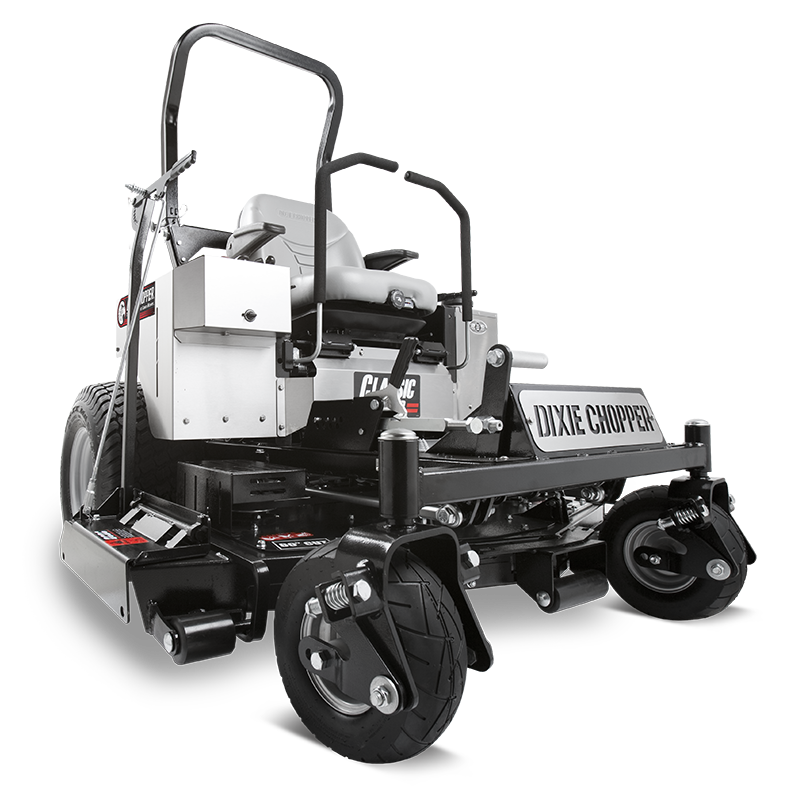 Dixie Chopper’s Classic zero-turn is the ultimate mowing machine with the perfect combination of commercial quality with industrial features. Equipped with Kawasaki, Kohler EFI and Vanguard engine options, the Classic is the pure power machine you need to cut through the tough jobs with ease. 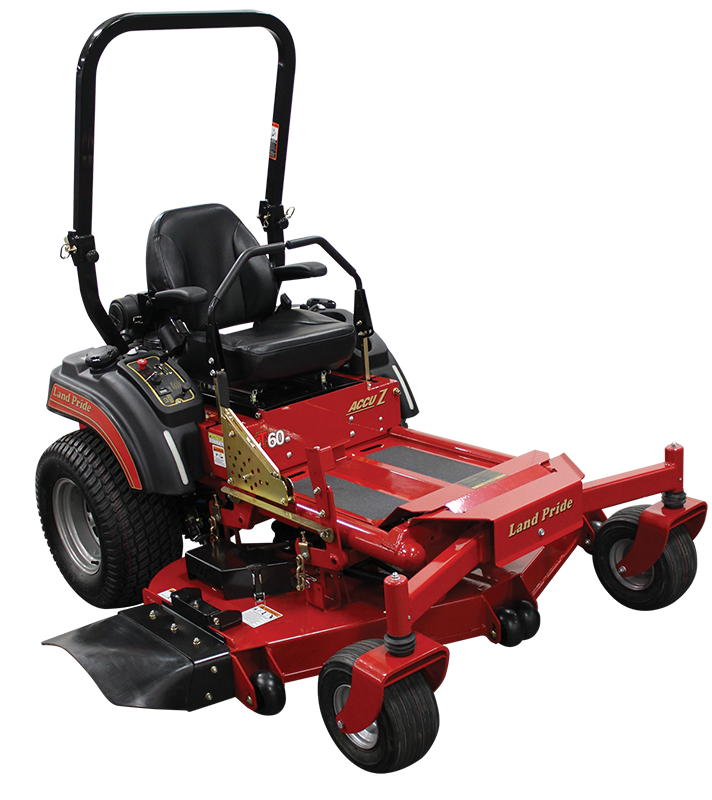 Offered in 50-, 60- and 72-inch deck width options, the Classic’s Elite X Deck is the staple piece to Dixie Chopper’s reputation of cleanly cutting all types of grass. 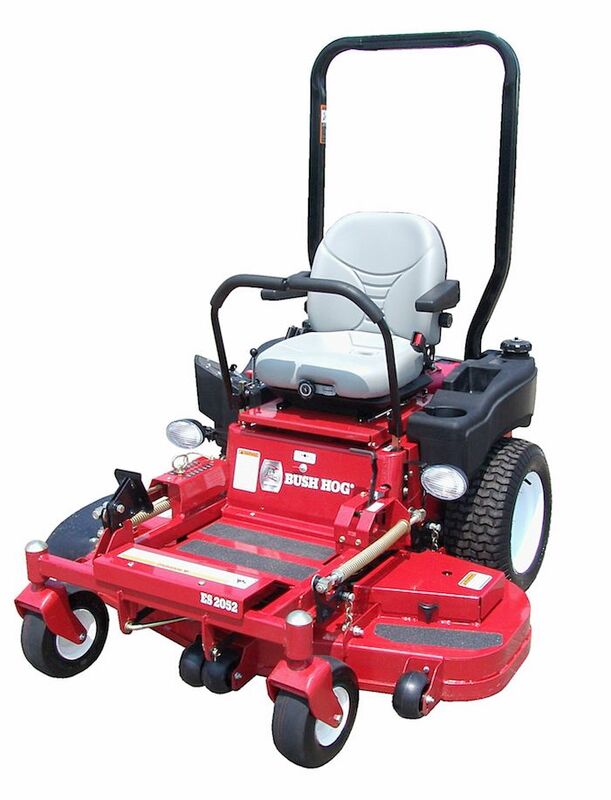 Designed for commercial operators and landowners with several acres to mow, the Estate Series Zero Turn Mowers offer Bush Hog’s legendary performance and reliability in an attractive package at a comfortable price. The three Estate Series models offer 44- and 52-inch cutting widths with 10-gauge welded decks, 20 hp or 25 hp Kohler OHV engines, 8-gallon fuel capacity, high back, foam padded seats with flip-up arm rests, and dual Hydro-Gear® transaxles. The infinitely variable speeds up to 8 mph make short work out of large tasks and the three-spindle deck produces a beautiful, manicured cut. 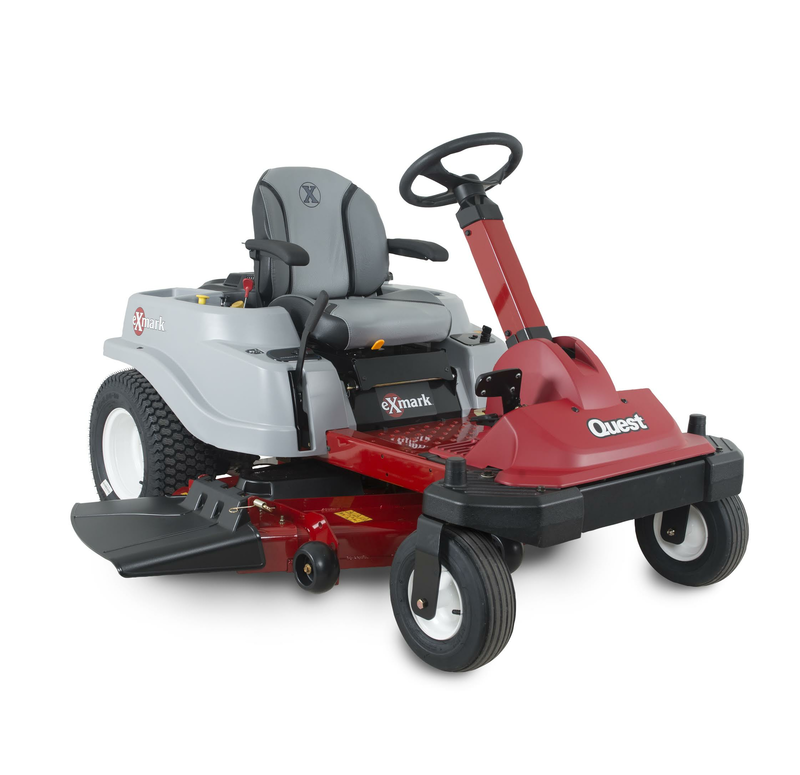 All of the Estate Series mowers come with a 3-year residential limited warranty. The productive and nimble Toro® Z Master® Commercial 3000 Series mowers are a true blend of performance and versatility. Equipped with a 7-gauge, high-strength steel TURBO FORCE® cutting deck, the 3000 Series can handle a variety of terrains and conditions with ease. 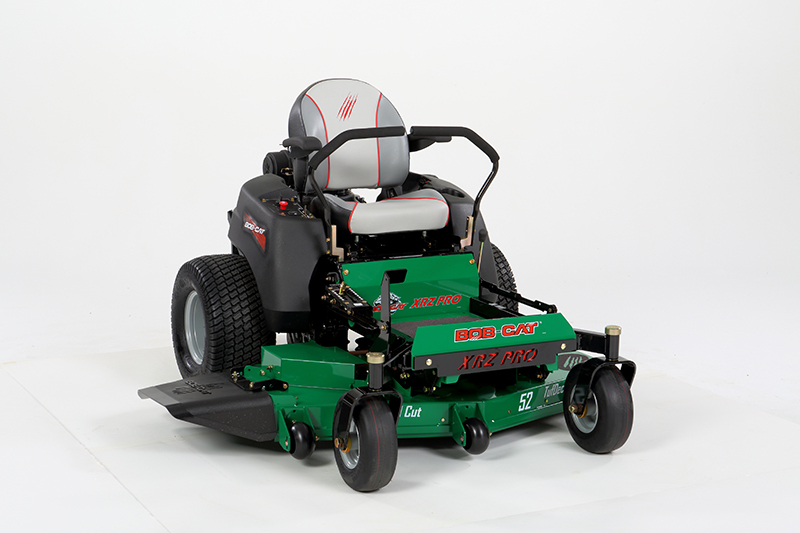 Z Master Commercial 3000 Series mowers are powered by 20.5 hp to 25 hp Kawasaki® and Kohler® engines, depending on cutting deck width. 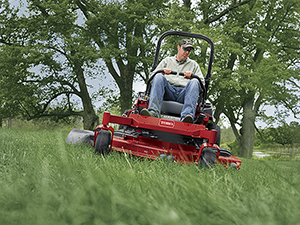 Commercial 3000 Series mowers can reach mowing speeds of up to 10 mph, and can mow up to 5 acres per hour. Race-inspired deck struts with rubber bushings reduce wear and tear, contributing to the machine’s overall productivity. 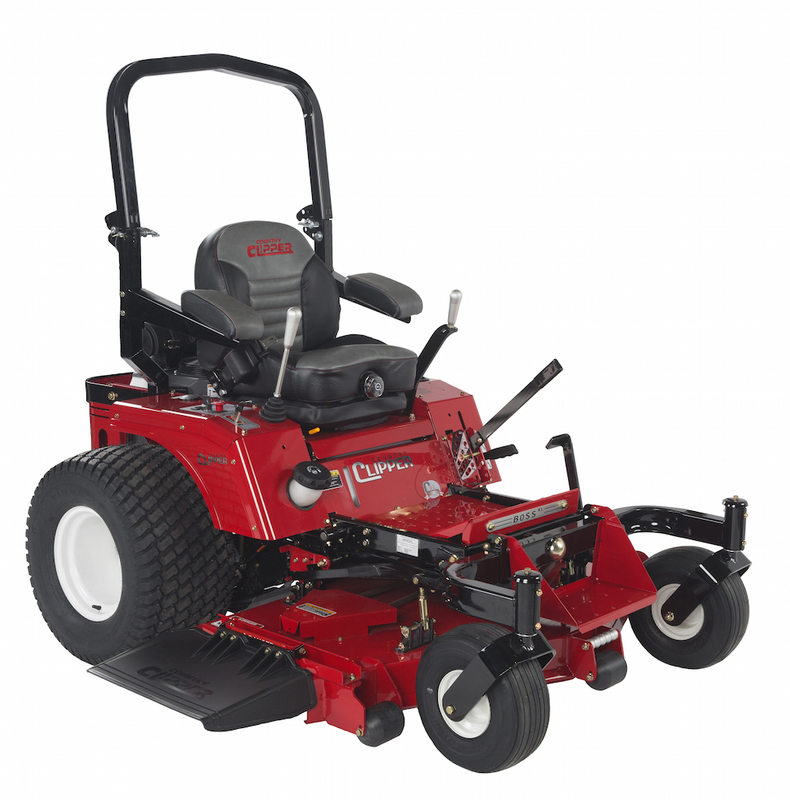 The Commercial 3000 Series offers all the performance and durability of Toro’s larger zero-turn riders in a mid-size package that is ideal for landscape contractors and acreage owners. The Country Clipper Boss XL sets the standard for commercial mowing. It features Country Clipper’s Stand-Up Deck for easy access to the underside of the deck for cleaning and maintenance. The Boss XL is available with joystick steering, leaving you with a free hand to move low hanging limbs or enjoy your favorite beverage, or twin lever steering options. The Boss XL is powered by industry leading engines: 27 hp Kohler CV752 or 35 hp Kawasaki FX1000. This model is available with 60- or 72-inch cutting widths. Equipped with HydroGear’s ZT-5400 Powertrain Drive System, the Boss XL can travel as speeds up to 12.5 mph. The Boss XL features a pivoting front axle and deck, allowing these components to float freely from the frame and reduce gouging on uneven terrain. This model comes standard with Country Clipper’s wide front step for added safety and convenience when getting on and off the mower. The new BOB-CAT® XRZ™ Pro is our latest professional grade mower built for the lawn care contractor and the homeowner who wants to mow like one. Based on 60 years of engineering and manufacturing excellence, this latest edition to our zero-turn mower line comes packed with innovative new features. The XRZ™ Pro has the superior value and all the toughness and reliability you’ve come to expect from a BOB-CAT®. Exmark has redesigned its popular Quest zero-turn riding mowers, adding a new steering wheel-equipped version. The Quest S-Series Front Steer is ideal for users transitioning from a lawn tractor and the steerable front wheels increase hillside control, providing a familiar handling feel with true zero-turn mower performance. Available with a 42- or 50-inch Series 2 fabricated steel cutting deck, the machine is powered by Exmark’s new 708cc twin-cylinder engine. A number of innovations increase performance and serviceability of the Exmark engine, including a standard dual-barrel carburetor, cast iron cylinder liners, an easy-to-service air filter and a quick-drain system that eases oil changes by allowing used oil to be drained without tools. 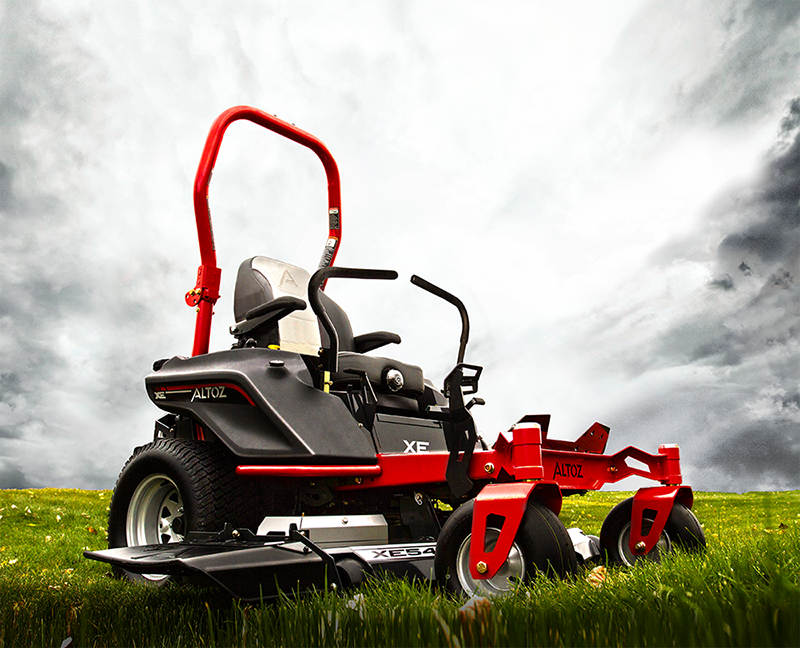 Utilizing the same engineering principles, quality manufacturing and attention to detail found in the commercial Altoz mowers, the new XE model line delivers the precision cut, durability and comfort that have become synonymous with the Altoz brand. Three unique models — XE 480, XE 540 and XE 610 — make up the XE line, which is specifically designed for discerning, multi-acre homeowners and commercial operations. Each XE model features a Briggs & Stratton Commercial Turf engine with electronic fuel management, durable Hydro-Gear 3200 commercial transmission, large 22-inch rear tires and a high back seat that combines for a comfortable ride.